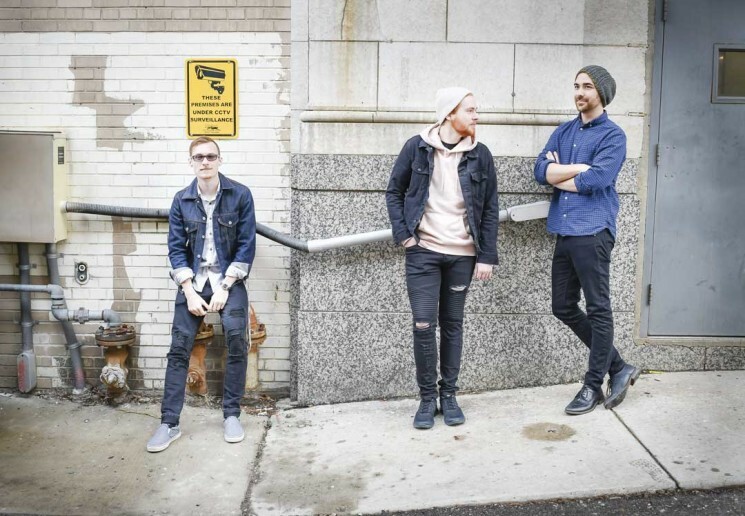 Steppes began last year as a solo project of lead singer/guitarist Joshua Kemp and has since become a full-fledged indie rock/alternative group. Kemp was writing and playing shows as a singer, but knew he wanted to expand on the sound and work with other musicians. Drummer, Austin Holicki, and lead guitarist, Caleb Doering had played alongside Josh before, including with their church’s band, so Kemp asked them to fill in for those bigger shows. Their experience playing together made the transition easy, and the three clicked right away. “I remember asking the guys, ‘Hey, do you want to make this an actual band?’” says Doering. They did, and Steppes was formed. Although the band officially transitioned from Kemp’s solo project to the Steppes moniker last fall, the band thinks of early of 2018 as the time when things became real. Steppes dropped their first song and video for “Go (Starting Over)” in January and began making a name for themselves. 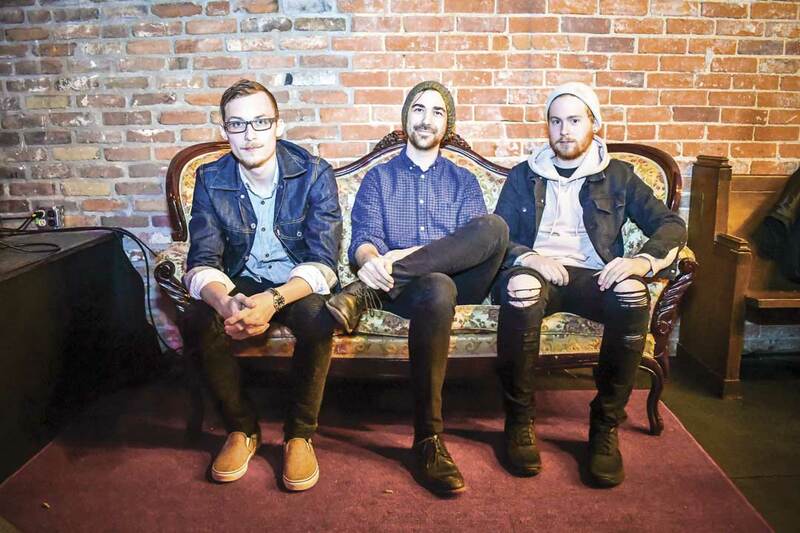 “Go” is as catchy and singable as anything you’ve ever heard in the indie/alternative scene. Fans of Young The Giant, Colony House, and Vampire Weekend will find characteristics they know and love in Steppes without feeling like they’re a cardboard cutout version of other artists. Doering’s lead guitar riff dances alongside Kemp’s vocal melody throughout the track, adding an extra flavor that brings everything together. Holicki’s drumming never falls into the ever-so-common trap of staleness, but instead fuses his own influences of hip-hop and funk to bring freshness to a genre that isn’t notorious for memorable drums. The chorus will inevitably find its way into your head and make itself at home. “I’m used to being down/I’m used to starting over” will replay over and over until you find yourself subconsciously humming along and drumming on your steering wheel. As a whole, Steppes is filled to the brim with fun and optimism while maintaining honesty in their lyrics. While the band began working together early last year, they spent most of their time writing. “We wanted to hit the ground ready as a band and not have that awkward growing pains stage,” says Doering. The band’s first show as Steppes was last fall at Café Rhema in Downtown Flint, where they played an acoustic set. Even though the band spent a good chunk of the year writing new music, they’re also constantly working to perfect their craft and sound. “We don’t play any of the songs we played that first night,” says Kemp. “We’ve changed so much even in that short amount of time.” Now, the process is a collaboration between all band members, and with a little experience under their belt as a unit, they feel that they’ve discovered what Steppes is meant to sound like. “A lot of older demos were never released, thank God,” laughs Kemp. The band is currently writing and recording an EP at Social Recording Company in Adrian, MI. They would like to release it in the summer, but no date is set in stone. 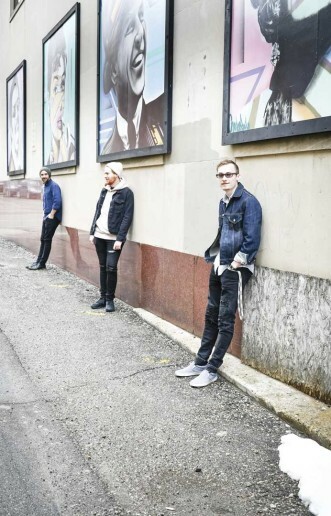 They are also currently working on a video for a new song called “Rachel,” which listeners will know from their recent show at the Flint Local as another memorable tune with melodic guitars and pop melodies. Doering says it’s his favorite track thus far, and the band agrees it is one of the catchiest, most fun songs in their repertoire.